Safety in the workplace has always been a paramount priority of a forward thinking business, but the ways in which safety is enforced are about as divergent as they could possibly be. 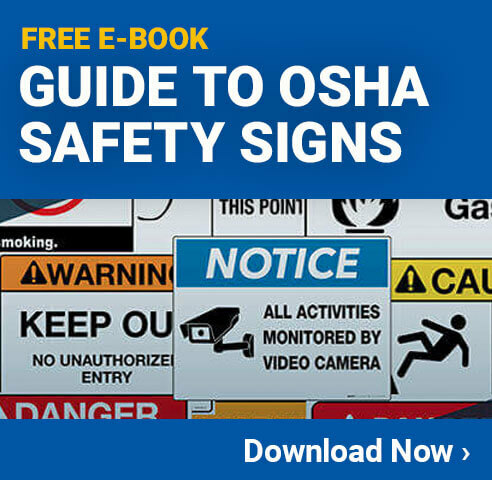 Over time, the most popular, tested, and mechanically sound methods of conveying safety information have been codified by organizations like OSHA and others, and these do help to reduce divergence. Ultimately, however, they are just a framework, and while they guide the most important aspects of safety procedures and culture, there’s still a lot of wiggle room. Within this wiggle room live our proclaimed “best practices” and “theories,” each with its own regimen of staunch supporters. LinkedIn user Ron Gantt shared an article from his SCM Safety blog this week, which focused on the implications of the age-old adage and tried to disect why it might be more than a little bit problematic. More and more lately, many of the safety debates that have come up almost seem like they can be boiled down to semantics, or word choice, but I think this actually indicates a very important trend. Right now, physical methods of safety and accident prevention are highly regulated (for good reason), and that leaves much of our choice in how we frame safety training and culture. What this has forced us to confront, now that we aren’t focusing as much on the basics of physical safety, is that words matter, and the way we present safety ideas has a very real – and therefore measurable – impact on how likely employees are to internalize them and actually be safe. More important to this debate, however, is that the onus of safety really, truly lies with the business owners and managers. A bit of a wakeup call, isn’t it? But he’s absolutely right, whenever the phrase “safety is everyone’s responsibility” is thrown out, it’s in front of front-line workers, as a reminder to them to watch out for themselves. Gantt’s post makes the point that it’s (just about) never that you would hear this phrase uttered in a meeting of exclusively managers, owners, supervisors, etc. The ‘why’ of the matter likely comes down to perception. In most cases, front line workers are, after all, the ones most likely to get injured on the job. Statistics support this, it’s painfully intuitive, and we all can understand fairly easily how an assembly line worker is more likely to succumb to injury in the course of a day’s work than is a manager sat in an office on the phone and buried in paperwork most of the day. The problem, Gantt’s supporters propose – and I’m inclined to agree – is that workers already know they’re responsible for their safety; none of them want to get hurt, after all, we just established that they’re the ones most at risk! Sorry for all the underlining and italicizing, but they simply already know safety is also on them because they live with the (however minimized) risks every single day. I would argue that the phrase, in many cases, can come off as downright condescending. But isn’t Personal Responsibility Important?! I can hear it now! And yes, of course, being smart and safe about one’s own surroundings and goings on is vitally important, and reminders through training posters on specifics, or referesher sessions that go over certain tasks or procedures, those are all good. Where it gets questionable is with general slogans like the one we’re talking about today, where there isn’t a clearly defined purpose; general sayings are a good blanket coverage for passing responsibility off to someone else, that’s the real problem here. Plus, if you’re being honest with yourself, how much stock do you put into empty sayings when they’re thrown your way? Probably not a lot. They come off as empty, unimaginative, and with no real thought or passion behind them, and people pick up on that. As safety managers, business owners, and other professionals, we don’t want to get too cozy with the idea that safety is anyone else’s duty but our own. So if employees are already aware of and perfectly capable of knowing about their own safety needs, why do incidents happen? One of the last things I want to go over is that, often times, what employees know is best for them can become overshadowed by other perceived priorities. Some of these are things that they also have control over, though many of them are a result of the workplace they exist in. Again, this means many such matters boil down to your responsibility. Many of these distractions stem from productivity, be they actual goals or simply perceived ones. Workers may be concerned with meeting certain quotas, etc. If benchmarks can’t be met safely within a given time period, though, workers need to be re-trained or expectations, stations, or some other factors needs to be adjusted. Other factors, for example a worker rushing because they have a child they need to pick up as quickly as possible after work, or for an appointment, etc., really do fall more to the worker. That said, keeping an open and friendly dialogue with workers can make it so that employees aren’t afraid to ask to leave a bit early on days when its necessary. There’s always something you can do. The point of all of this, from the beginning of our safety cliche discussion to where we ended up now with a basic exploration of responsibility for safety in the workplace, is that any safety mantra, adage, slogan, saying, etc. that makes its way into your workplace vernacular should reinforce the right ideas, safety-related or otherwise.